VSS is a hobby project developed in Delphi and C++. Check this list of tools used in development. To get the sources of VSS, we're going to use the TortoiseSVN program. It's an easy to use SVN client that integrates with Windows Explorer. So, first download and install TortoiseSVN. Then create a new folder called VisualSubSync. Right click on that folder and choose TortoiseSVN>Checkout. Finally, confirm with the OK button. Download and install Delphi 7 Personal. Now, we need to configure Delphi for TntUnicode components . In the Project Manager window, right click on TntUnicodeVcl_R70.bpl and choose Compile. Then right click on TntUnicodeVcl_D70.bpl and choose Compile then Install. Close the project with File>Close all. 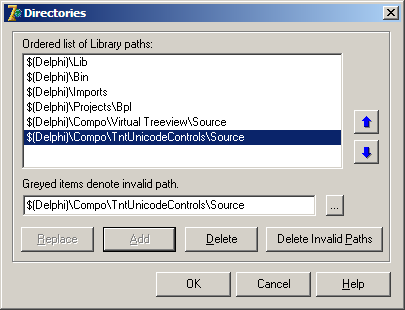 In Tools>Environment Options>Library, add $(Delphi)\Compo\TntUnicodeControls\Source to the Library path. Finally, open the project VisualSubSync.dpr and choose Project>Build all projects. That's it. You should now have the file VisualSubSync.exe in the Release directory.